Back from Nationals, and feeling better than ever! 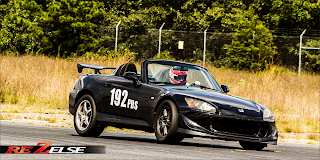 This is the last points event of the year for NER SCCA before the finale, and I wanted to have some fun this time around. It would be good for me, as I needed to clear my head of some negativity I still had from Nationals, and my car is still in Pennsylvania getting aero anyways. 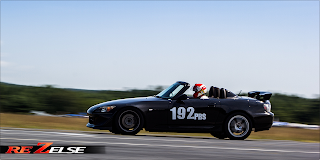 Nick Barbato was kind enough to offer me a seat in his B Stock Honda S2000 CR, so a huge thanks to Nick for the opportunity! I was surprised at the level of performance this car output in stock form and didn't expect it at first honestly. It was then that I realized I haven't ever raced a stock class car on Hoosiers, let alone one that was prepared for the class! It took me a few runs to get used to the sensation of body roll and working it into my attack plan for the elements. I will say that I didn't like the brakes, as I couldn't go deep into corners as much as I would've liked to. It wasn't just the stock pads either, but it was also a functionality of the ABS in where it can exhibit an "icing" effect. To counter it, you have to load up the front first by braking about 40-50% for a split second, and then fully apply the brakes. It definitely took me a few runs to adjust to that, but it costed me a lot of time at the first turn around unfortunately. Also, the VTEC kicking in was almost like a small turbo kicking on. It was a smooth enough change in power in where it wouldn't make the car skate however, unlike when all the torque and power would come on when you hit boost in a turbo powered vehicle. 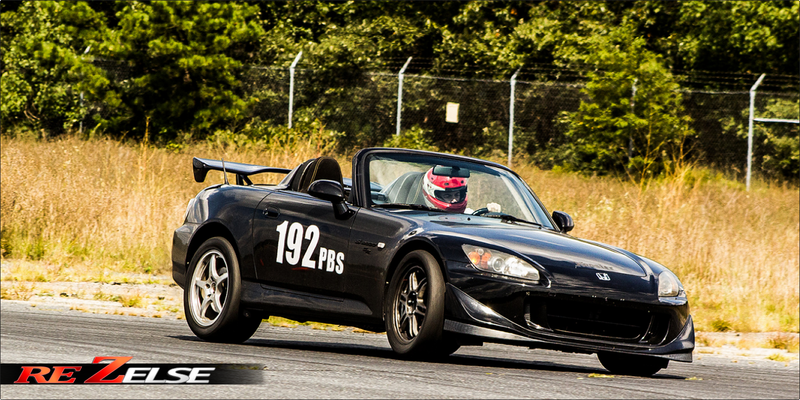 Overall though, Nick's S2000 was a lot of fun and I was happy to learn how to handle a stock car at the limit. Today's course was a perfect mix of the East and West course from Nationals. A lot of the fast sections were in the technical spots of the course, and in order to succeed you needed to drive the right line or you wouldn't have anywhere to apply the power. I ran a '62.338 clean for my fastest time of the day, putting me in 8th out of 13 in Pro Class, while Nick ran a '61.228 clean for his fastest time, securing 5th place for him. The rest of the results are located on NER's website, here. I can't thank Nick enough again for the chance to not only race his car, but to also see what it's like to co-drive and collaborate with him during an event. It was definitely what I needed, a ton of fun, and I hope to have the opportunity to do it again in the future. For now, be sure to check out the videos below of our fastest runs. Stay tuned.